You've just arrived in Tokyo, solo, wanting to go out, but can't find anyone in your hostel to go with, as everyone is glued to their smartphone. 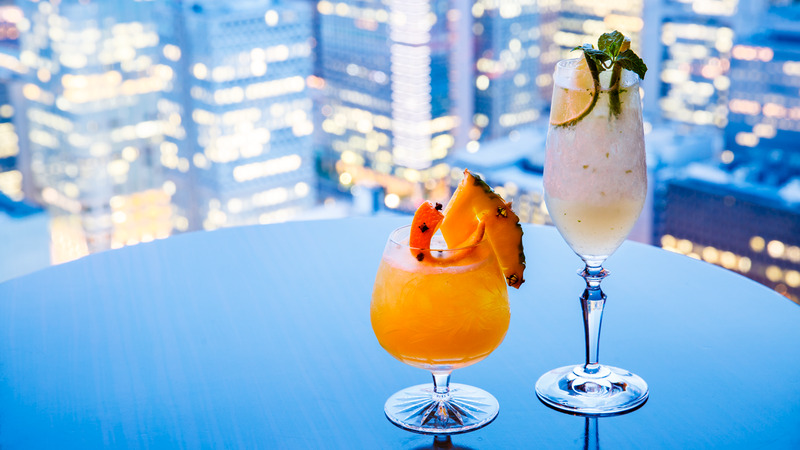 Or perhaps you're with a small group of friends, looking to meet some like-minded travellers and a few locals, and soak up the bar scene. 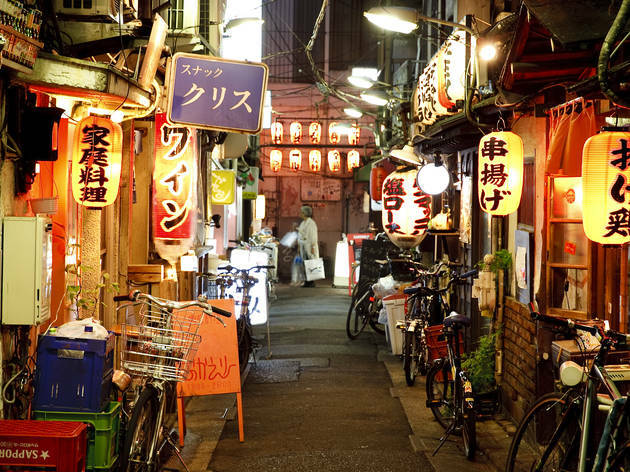 Either way, Magical Trip, a new travel experience provider, has you covered with their Bar Hopping Experience through two different yokocho (alleyways). We met our guide (and tour founder) Ryo and the rest of the group near Shinjuku's west exit around 6pm. First stop of the night: two different izakaya on Omoide Yokocho (alternatively known as Memory Lane or Piss Alley, depending on your interpretation), the ramshackle alleyway chockfull of bars and pubs that sprung up around the station after World War 2 and its resulting informal economy. 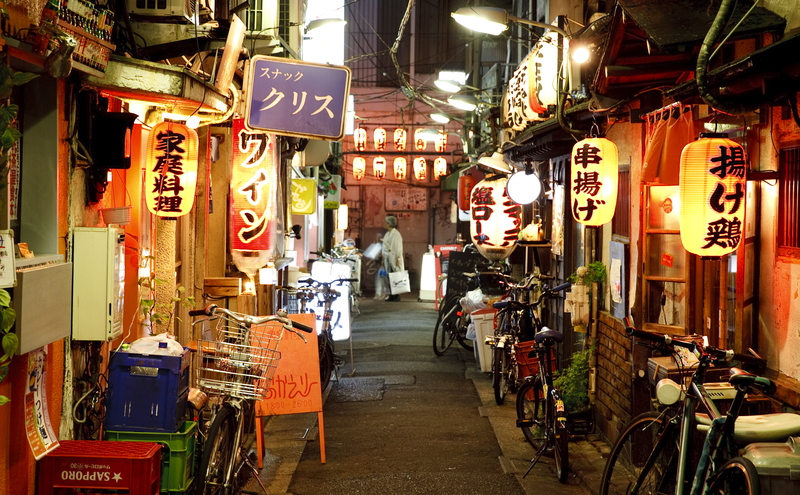 Luckily, Ryo made reservations at the izakaya, as Omoide Yokocho's mini-bars are usually unlikely to take a walk-in group of seven. Our group of the night was a friendly international mix, with several Australians, a solo Chilean, our resident Dutchie and of course, our Japanese guide bringing up the gang. After the initial kanpai, the ice was slowly broken over small plates of yakitori and jugs of beer. 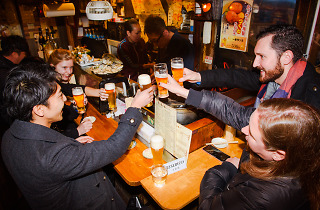 Before long, everyone was happily chatting away, and then it was on to the second bar – as Ryo put it, 'we rarely stay at one izakaya for a long time'. A few flasks of sake down the line (and a complimentary sake cup for everyone from our host), we made our way out of Omoide Yokocho and headed for debauchery alley number two: Ebisu Yokocho, a few stops down on the Yamanote line. Well in a jolly mood by then, Ryo decided to put us all to the test with a little quiz on all things Japanese. We won't help you cheat, but having a little more than base knowledge about Japan, plus reading the news, will come in very handy. A few final beers and sake later, and we were all merrily escorted back to Ebisu Station to say our goodbyes. Our verdict? 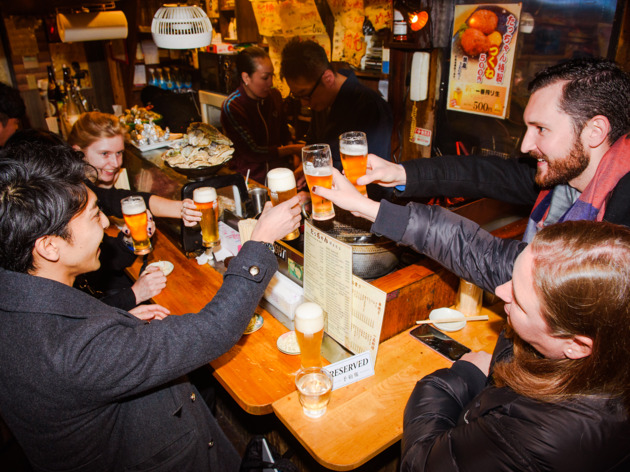 The tour gives you an insight into Japanese izakaya culture in a very friendly manner, and is definitely a great option for those who'd like a little help – or just good company – when trying out the izakaya for the first time. It really feels like you're just out drinking with a bunch of people you just happened to meet while travelling. Ordering was relatively straightforward too: the menus at some of the places we visited were bilingual (which may not always be the case, as the exact izakaya may be different for each group), and if you're not quite sure where to start as a Tokyo first-timer or non-Japanese speaker, then the guide or izakaya staff can help you out with recommendations - just ask them. 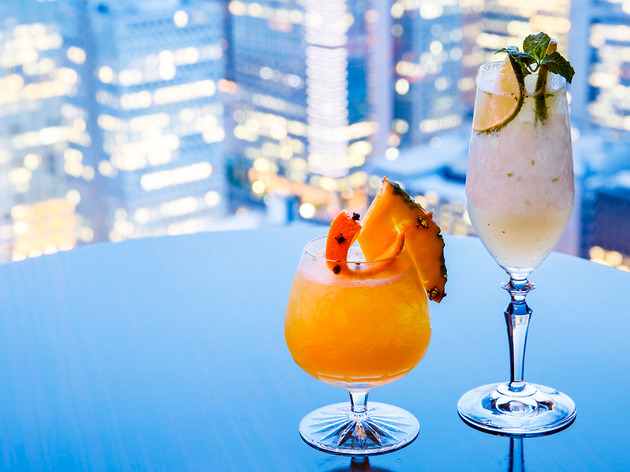 Interested in barhopping through the alleyways as well? Tours can be arranged any night of the week. Check current prices and book yours online through the Magical Trip website. Want to drink some more?